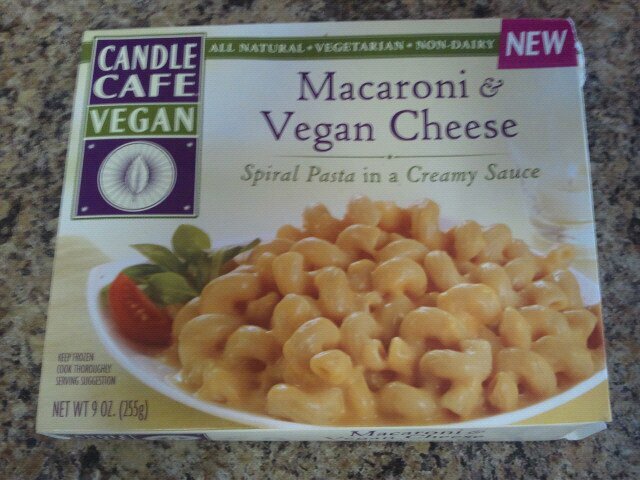 Recently I found the new Candle frozen meals on sale at Whole Foods for $2 off. Needless to say, I stocked up. I purchased my favorite two of the four varieties they make. The mac & cheese, and the tofu & spinach ravioli. (review here!) These also happen to be the more fattening items they make, but they’re still not really bad, this having the most fat at 12g fat, 300 calories, and 8g of protein. 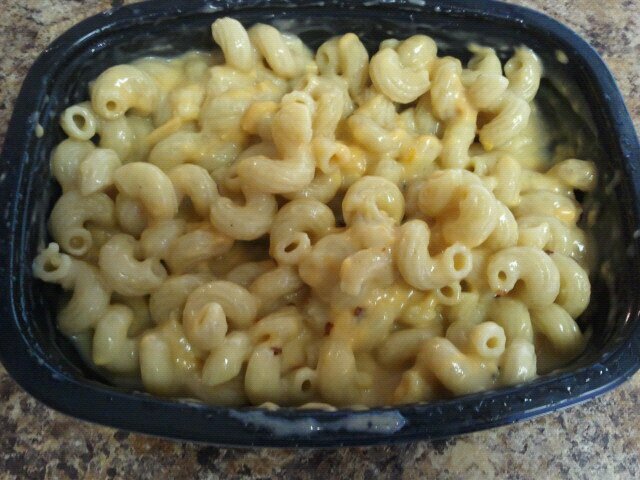 The mac & cheese started out looking like pasta with a pile of frozen Daiya on top. However, as it microwaved all the way through and was stirred, it melted into a nice sauce of delicious, gooey, Daiya goodness. Loved it. I added some crushed red pepper flakes to it too! YUM! Pick these up if you haven’t tried them yet!